Arrow villain Damien Darhk will appear on both DC's Legends of Tomorrow and The Flash this season, ComicBook.com has learned exclusively. 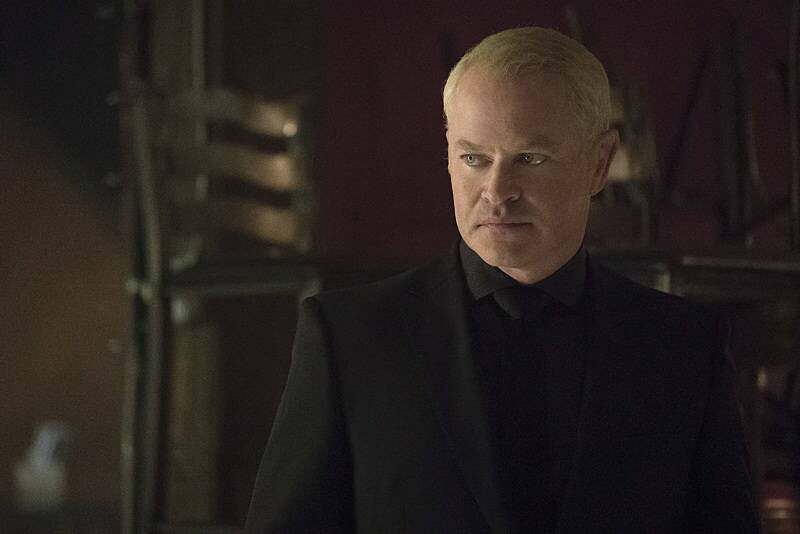 During an interview with ComicBook.com, the full text of which will run tomorrow, actor Neal McDonough, who plays the character, mentioned his appearances on the other CW superhero series, and The CW has confirmed the appearances. Of course, with time travel playing a role on both The Flash and Legends of Tomorrow, it isn't totally clear that Darhk's story will all sync up with the current Arrow plotline. It was actually the idea of going backwards in Arrow flashbacks that brought it to McDonough's mind. "You go back to the League -- I did an episode of Legends last week -- and I look exactly the same in 1975 but you see he's not as confident and doesn't have such an agenda forty years ago as he does now," McDonough said. "So it's fun to play the different times, you know? Going back in time with Legends, and The Flash, with The Flash, I'm just this crazy, fun, enjoy everything while I kill everybody type of character. It's just nuts." He also seemed to imply -- but stopped short of actually saying -- that the centuries-old Damien may have some relationship with Legends of Tomorrow big bad Vandal Savage. McDonough gave us a lot of insight to just what makes Damien tick, so check back this time tomorrow for the full conversation. The Flash airs Tuesdays at 8 p.m. ET/PT and Arrow Wednesdays at the same time, both on The CW. DC's Legends of Tomorrow is expected along in January.